Chimento Stretch 18ct Yellow Gold and Diamond Necklace. 1G00850ZB1420. 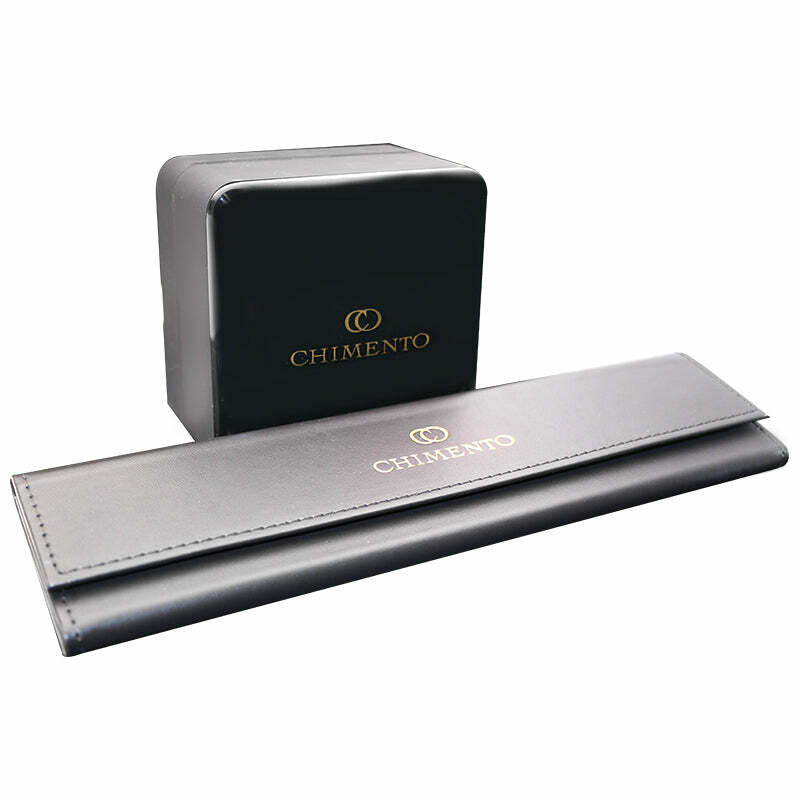 Founded in 1964 as one of Italys premier goldsmiths, the family run Chimento is world renowned for its top quality Italian jewellery and its distinctive and exclusive creations using 18ct gold. Their collections feature the perfect blend of traditional and contemporary design, setting a new standard for luxury Italian jewellery. The Chimento Stretch collection features a unique design of flowing and flexible lines that sit delicately and comfortably on the body. The Chimento Stretch 18ct yellow gold diamond necklace is an elegant piece that features an 18ct yellow gold stretch design which allows the necklace to mould perfectly around the neck. The necklace is further embellished with a 0.01ct brilliant cut diamond adding a luxurious sparkle and would be a beautiful addition to any jewellery lovers collection.